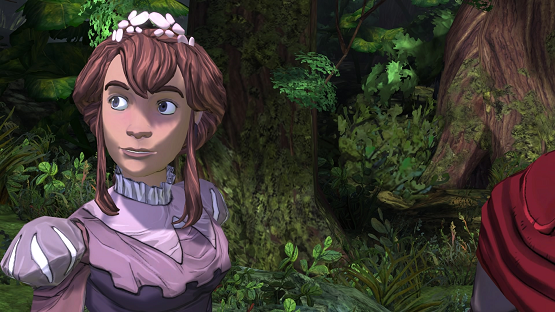 It’s been a relatively long wait for the new King’s Quest episodic series. Chapter 1 released in July of last year, with Chapter 2 not coming until December 2015. Chapter 3’s release in late April has us looking at four to five months between each part, so clearly the anticipation is high. That being said, there may be spoilers from the first two chapters as inevitable comparisons make their way into my commentary on this third part. 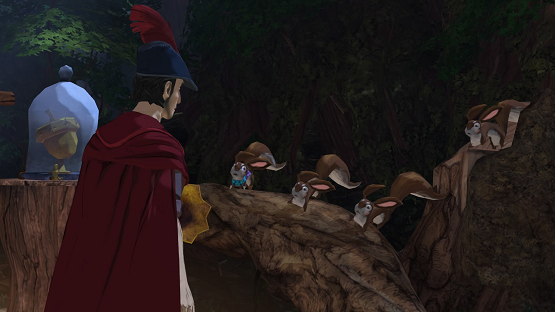 After a relatively disappointing second chapter, I was looking forward to playing the third part of The Odd Gentlemen’s King’s Quest reboot. I knew they had it in them as the humor and gameplay were top notch in the first chapter. When I finished chapter three, not only was I highly impressed with the compelling narrative, but I actually wanted to immediately play again to see how else the story could go. With these types of games my “gut instinct first playthrough” will always be my true playthrough, but it’s a good feeling to start asking yourself “well, what if I had said this here instead of that?” It means the nuances of the narrative worked. Once Upon a Climb is the account of a lonely King Graham who ventures out to a mysterious tower to find his true love (at the behest of his magic mirror). Of course, things go drastically wrong when he discovers not one, but two princesses at the top, and can’t figure out which one is supposed to be his future wife. He quickly finds himself trapped within the tower’s enchantments, unable to leave, much less rescue the princesses for a fairy tale ending. Things take a turn for the weird when the tower’s old hag — aptly named Hagatha — who had kidnapped the princesses presumes Graham to be a princess himself and adds him to her “collection” of princesses. The whole idea of Graham being thought of as a princess is a hilarious opposite side of the coin to Graham growing and now becoming more manly. He’s got a shadow of a beard coming in, broad shoulders, a filled out chest and muscular arms which prompt comments like “Graham, it’s supposed to be arm day, not arm decade!” This isn’t the awkward, skinny Graham that came bumbling into Daventry two episodes ago. This is a handsome, rogueish Graham that is looking for someone to spend the rest of his life with (an important element of the original King’s Quest games). The introduction of new characters was something sorely missing from the last chapter and Once Upon a Climb makes up for it with Vee and Neese — the two princesses — and Hagatha, as well as another new face with a familiar voice actor that makes an appearance. The usual faces do show up in some capacity (dependent on your choices) but it’s the depth of these new characters that really makes this episode shine. Eschewing point-and-click puzzles that take multiple screens to figure out how to move things forward, Once Upon a Climb’s gameplay is primarily in the things Graham says or does to figure out which of these two princesses is his true love. In some ways it felt like it played out more like a Telltale style game, with narrative being primary focus and puzzles as an aside, which is an evident contrast to the puzzle heavy nature of the first two chapters. I still feel like Chapter 1 did a better job at a perfect blend of puzzle elements to story, but I will take the great tale of true love told in Once Upon a Climb over the narrative barren prison-escape game that was Chapter 2. Vee and Neese each have distinctive personalities and Graham’s words and actions throughout the episode — and partly from actions in previous episodes — will affect his relationships with each. Vee is a strong, sensible woman. She’s very matter of fact and down to earth, with a love for puzzles and challenges. Neese is a creative type, always itching for an adventure. Sometimes she’s got her head in the clouds, but she always has a sense of wonder and excitement for everything. It makes sense then that Vee is trapped because she was challenged to climb to the top of the tower faster than anyone else, and Neese was told there was a magical unicorn at the top. And of course Graham thought he could find that love of his life. We all have our vices. That’s the crux of what makes Once Upon a Climb such a beautiful tale of love. It’s a multi-tiered story with many facets, so meeting each princess and learning about their personalities and what makes them tick is just the surface. There’s a culmination of these layers in the end that legitimately brought tears to my eyes. I may seem like a sap, but the emotional investment into these stories is critical given that I was the one making all of my decisions. Unlike the end of Chapter 2, which felt like it rendered my seemingly agonizing choices null and void, the end of Once Upon a Climb significantly affects not only the story being told, but the interactions between Gwendolyn and Old Graham in the present day as he recounts the tale. As much as I really wanted to go back and play again to see how it could play differently, I was also extremely satisfied with the result that I got, feeling that it was completely my own. If you read my review for Telltale’s The Wolf Among Us, you’ll know that was a primary reason I enjoyed that game so much, and Once Upon A Climb effectively gives that same level of deep connection to the characters and decisions in King’s Quest. 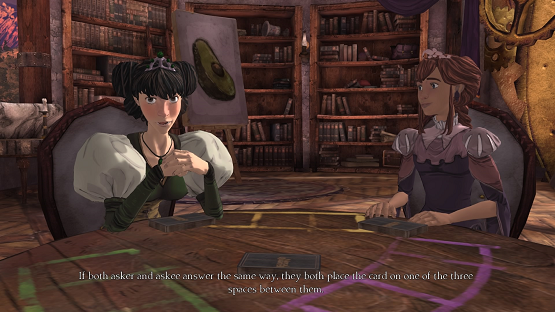 While I still think that Chapter 1 has been The Odd Gentlemen’s strongest effort for its perfect weaving of the narrative with complex puzzles, I do love Once Upon a Climb for it’s great story, deep characters, and connections it gives the player to the decisions being made and the outcomes they lead to that actually matter. Chapter 3 had me smiling the entire way throughout, and sometimes even laughing out loud. As Graham matures and makes more meaningful connections during his time in Daventry, it seems like the tale being told deepens too, and I can’t wait to see what part of Graham’s life we get to be a part of next. 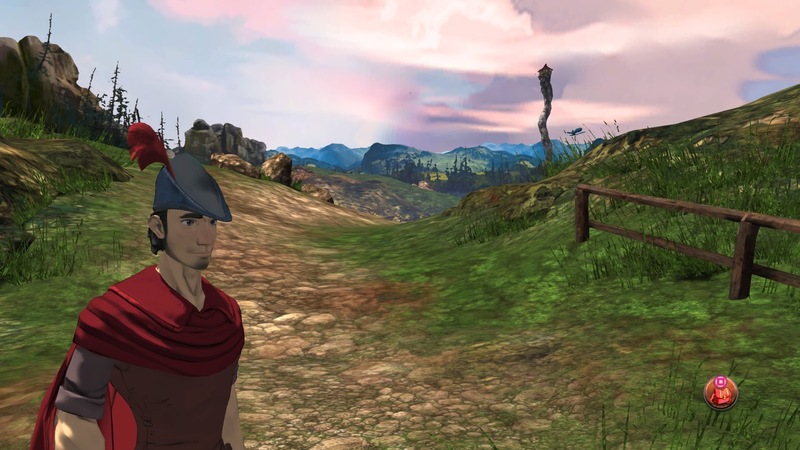 King’s Quest Chapter 3: Once Upon a Climb review copy purchased by reviewer. For more information on scoring please see our Review Policy here.